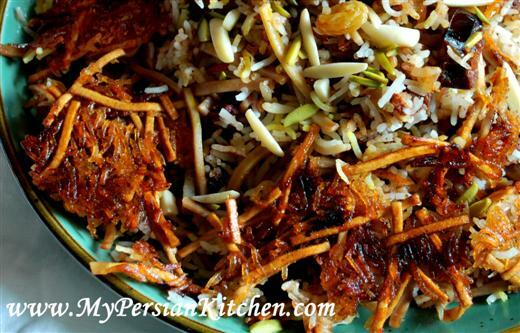 Those of you who are fans over at My Persian Kitchen’s Facebook Fan Page may have noticed a bit of back and forth about a certain dish, Reshteh Polow. Hungry Tiger and Neda’s friend the esteemed Mr. Pejman mentioned something about liking Reshteh Polow…next thing I know he is booking a flight from Philadelphia to join us on Christmas day and guess what yours truly has promised to make??? YES! Reshteh Polow…as if it all wasn’t enough, Neda requested the infamous Bûche de Noël. Now all of this is nice and dandy, but there was a huge, HUGE issue. 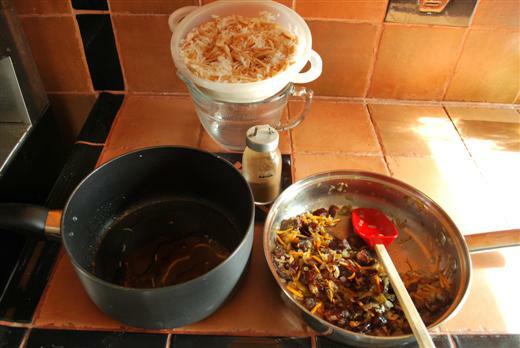 I had never had Reshteh Polow before…and clearly, had never made it before. So I did what anyone else would do, consult a variety of sources…much to my dismay every one of the four recipes that I looked at were different. This one was a challenge, but I can honestly say it was a fun challenge. I did a practice run first last week before the big day. THEN I found out a little piece of information which made my feet sweat and hand shake. Pejman khan’s mom, who was also coming to the Christmas day lunch affair, used to teach Persian cooking. Hahaha. Very funny, I said. I was about to say no, I am not up to the challenge, but then I reminded myself that someone bought tickets to come across the country for the Rehsteh Polow that I promised to make. Oy Oy Oy the pressure!!! And did I mention that I had never met Mr. Pejman???? After my trial run I felt more confident and I decided that it was time to switch over to the “Wonder Woman, hear me Roar” attitude and that I was going to rock the Reshteh Polow. I am happy to announce that the results were good, and Pejman khan graciously gave me his seal of approval. Phew! 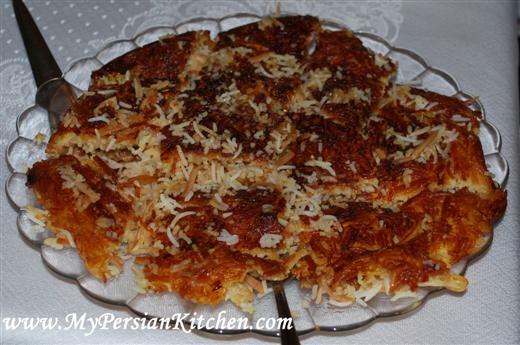 While I was doing research for this recipe I found out a couple of fun facts about Reshteh polow as well. 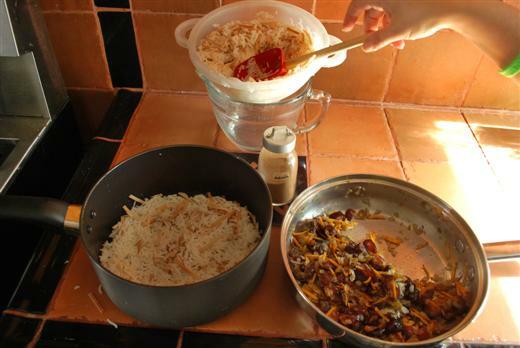 This polow is one of the most traditional Persian dishes, and it is traditionally made and consumed in the evening of the new year. How appropriate is this for this time of the year? 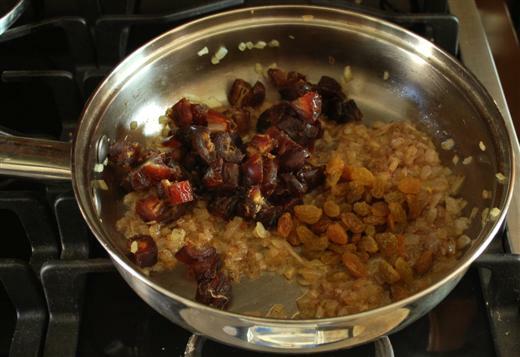 Additionally, reshteh is always consumed during the new year festivities as it symbolizes good fortune in the path ahead. One last thing. I made a small batch the first time around going with the whole Meals For Two Theme. Because of the reshteh it turned out to be more. So I would say that this recipe is good for 3-4 people. Alternatively, it can be a nice lunch or dinner for the next day or you can freeze the leftovers and eat them at another time! 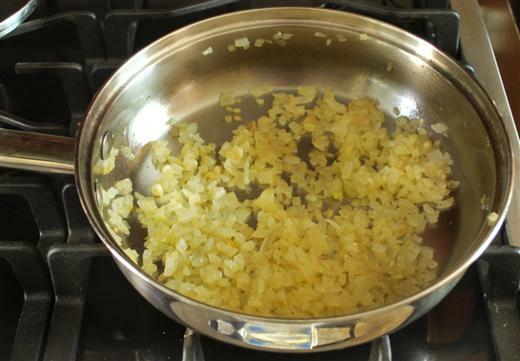 Sauté onion until nice and golden. In the mean time remove pit from dates. Cut them in quarters and dice them. 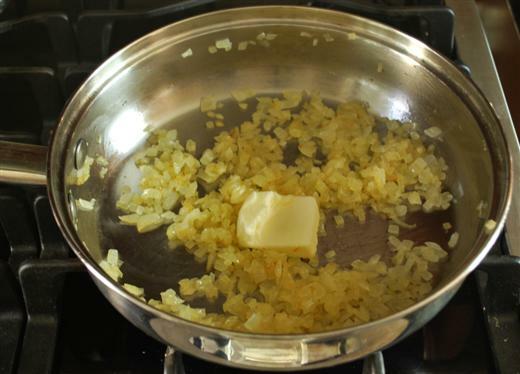 Sauté Reshteh in butter until golden. Stay close as they burn easily. 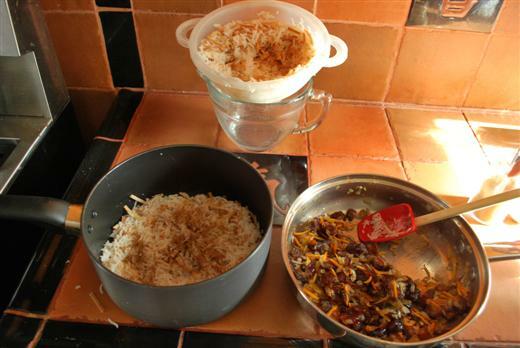 Prepare rice as you would for Chelow. 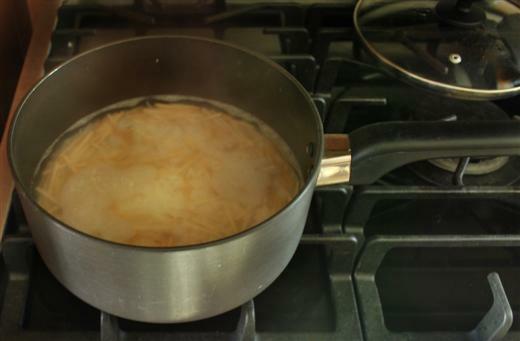 However, add more salt than you would normally as the noodles and rice will be cooked together for this dish. 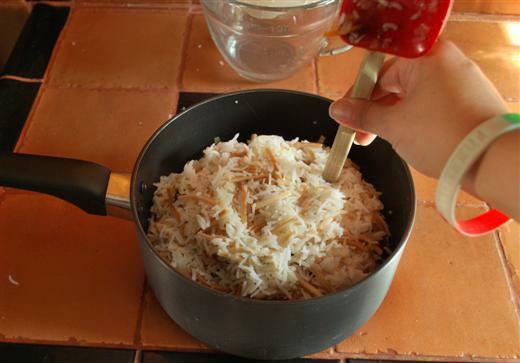 As soon as your throw in the rice add the reshteh as well. When the onion is nice and golden add 1 tbsp of butter. Add turmeric and cinnamon. Give them all a nice stir. 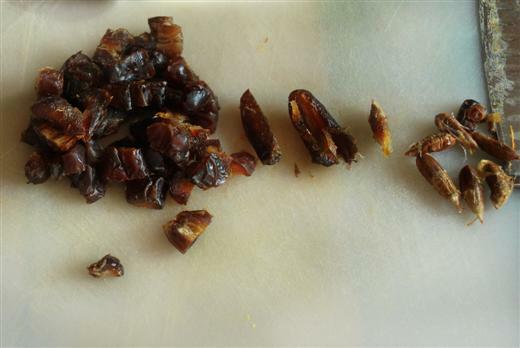 Add dates and raisins. 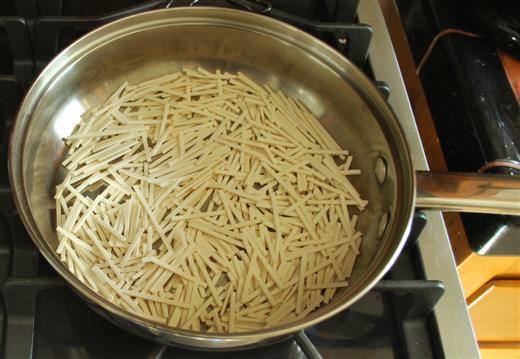 Give them a nice stir. Add orange peel. Also season to taste with salt. Please don’t skip on the salt. You can totally taste the difference when you don’t add salt. I learned that lesson the first time!!!! Also if the mixture seems a bit too dry to you, add 1 more tablespoon of butter. 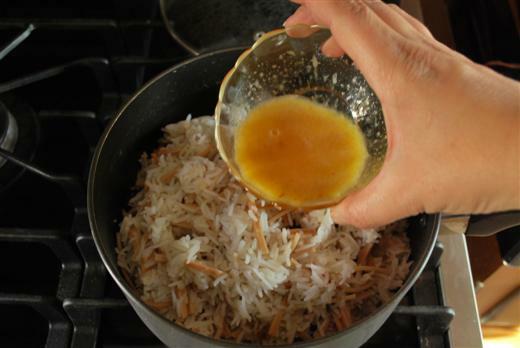 Once you have strained your rice, place 2 tbsp of canola oil with enough water to cover the bottom of the pan. Add one layer of rice. Sprinkle about 1/4 tsp of advieh. 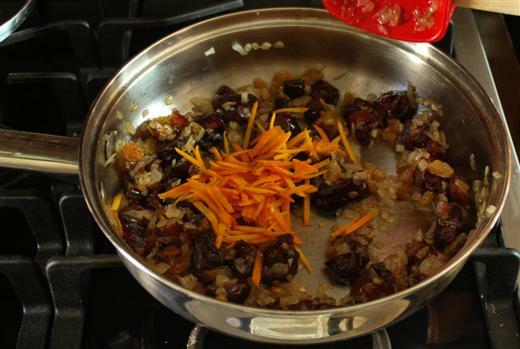 Place half of the date, raisin, orange peel, and onion mixture on top. Repeat with one more layer of rice and the remainder of the mixture. End the layers with rice. With the back of the spatula make 5 holes around the rice. Cook covered on high for 10 minutes. Ground the saffron. 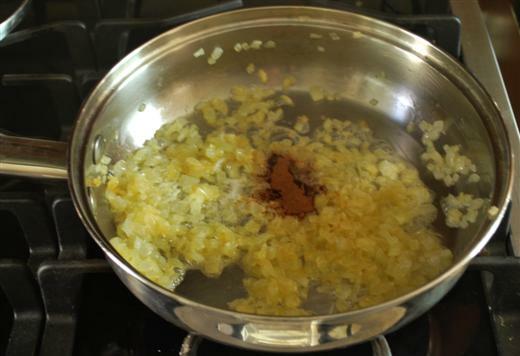 Dissolve ground saffron in 1/4 cup of hot water. Add 1 tbsp of melted butter and mix well. Pour all over rice. Cover the lid with a towel. 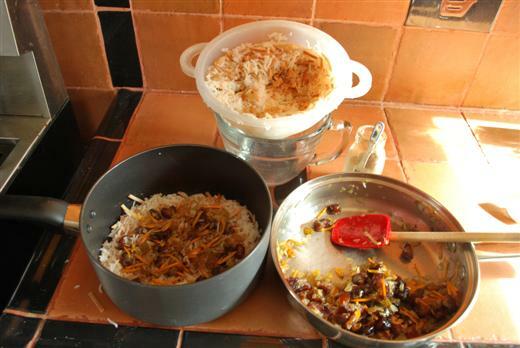 Steam rice on low for one hour. 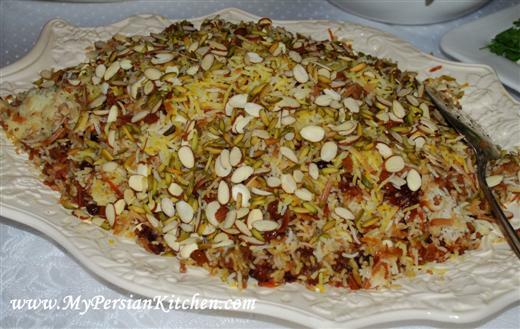 Once the polow is done place the rice in a dish and sprinkle the almonds and pistachios on top. The polow above is the one that I made on Christmas Day. Break down the dahdig and serve it in a seperate dish. Looks very good. My husband grand mom thought me a different version. As you said there are lots of recipes for this dish. We normally serve this Polo with chicken (either breast or leg). Why thank you Maryam Khanoom! Do you cook your chicken with the rice or serve it on the side? I served mine on the side. You should definitely try making it, it was really good! gorgeous reshteh polo and tah dig! It was such a treat! Definitely worth the cross-country trip. I am soooo glad you came out and you approved the Reshteh Polow!!! Happy New Year to you too!!! Thanks for this recipe! Do you have any advice for making adas pollo, one of my favorite dishes (also good for 2 people)? Annie, I love adas polow too!! I will be posting it soon! Hi! First I want to thank you for all of the wonderful recipes. I have your blog on my favorites on my browser. I was reading this recipe and you mention to “steam” for an hour. Can you please clarify what that exactly means/ how to do that. I’m fairly new to cooking and want to make sure I understand before I try it. Shayeri, thank you for your kind words. 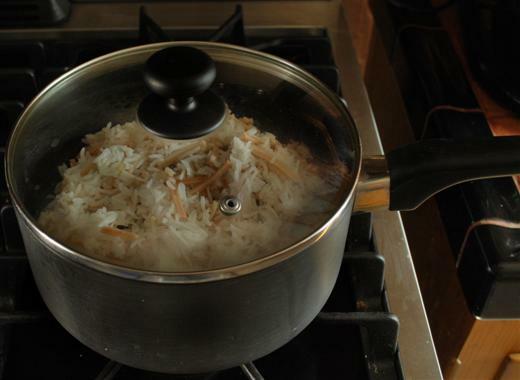 What is meant in Persian cuisine when saying steaming rice is when we place a towel over the lid of the pot where the rice is being cooked and cook it on low temperature. 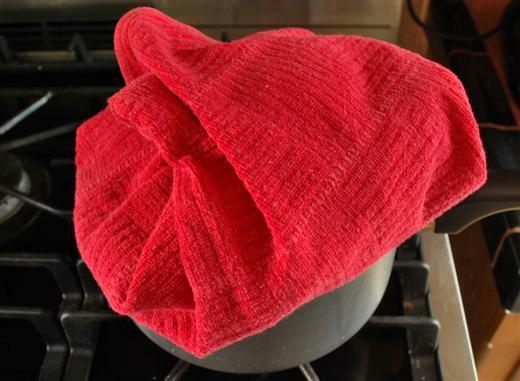 The towel captures the moisture so that it doesn’t fall back onto the rice and make it soggy. I hope this helps! 2- I got scared and only left it to steam for 45 minutes. I still had a burnt crust, but it definitely could have been better. Next time I will leave it the full 60 minutes. This is a great recipe! I will be making it again and it will be a permanent recipe in my recipe book.